Go from engineering to cash with Genius ERP software for SME manufacturers. The ERP system designed just for you. Genius ERP is the complete ERP software system for SMEs handling make-to-order, engineer-to-order, configure-to-order, and assemble-to-order manufacturing. Accurate estimating, product engineering, inventory control, production planning, accounts management and complete oversight: one solution for increased throughput, backed by industry specialists and field expertise. We're partners for growth with manufacturers sacross North America. Features that cover entire product lifecycles. A system that connects your entire business. Find out if Genius ERP is the right end-to-end manufacturing ERP software solution for you. We’re more than a software system. We’re manufacturing experts. Our team of consultants, solution architects, accountants, project managers, training specialists, and technical analysts come from backgrounds in industrial, mechanical, and electrical engineering. We have decades of experience in the world of manufacturing and it shows in our product. We’ve designed every feature and functionality to help manufacturers increase their throughput, know their true job costs, and improve their production sites. In short: we speak the language of manufacturing. We give you the best tools for the job. Automate time-consuming steps, quote for more jobs, estimate with greater accuracy, reduce bottlenecks on the shop floor, and connect historical data to upcoming runs so you can easily optimize production over time. 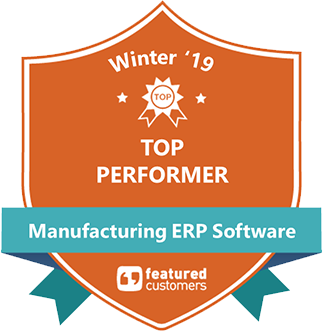 Genius ERP is the complete ERP software toolkit for custom manufacturers looking to take control of every aspect of their operations — all from a centralized system that's easy to use and quick to implement. And Genius ERP is out-of-the-box ready — meaning you can get everything you need, ready to go to work for you in one place. Complete projects like never before, take on more jobs with your existing setup, and deliver on time every time with Genius ERP. Genius ERP: the right fit, ready out-of-the-box ERP for custom manufacturers.